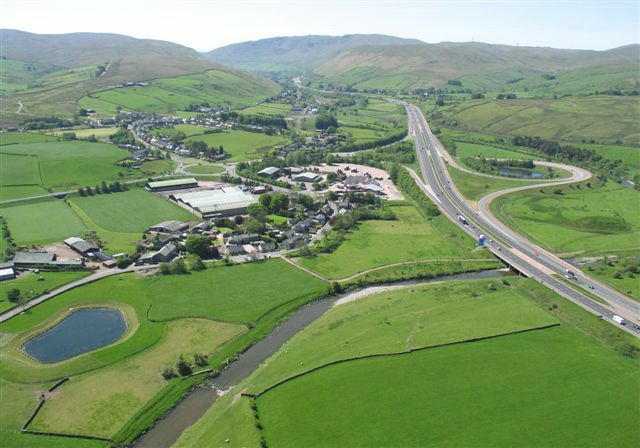 Within close vicinity to the M6 is the village of Tebay, offering great views out to Howgill Fells and the Yorkshire Dales. With two churches, a shop and a post office, the town offers nice walsk along the River Lune, which flows towards Lancaster and offers a great scenic highlight to the area. The M6 service station local to the town is raved as one of the best in England, and is housed in log cabins imported from Finland. It is located next to a pond where visitors can feed the ducks or walk their dogs.